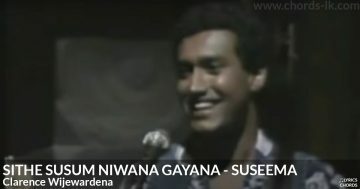 Sihina Genena Oba Kawurundo... Aluth Sihinayak Mata Nahi Doo..
Supurudu. 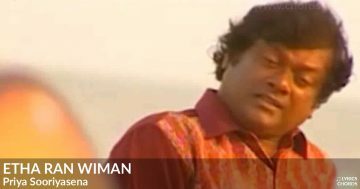 Eka Sihinema Dakala.. Sithe Sathuta Mage Atha Makila..
Pahadili Nathi Eka Ruwak Athee..
Clarence Wijewardena chords are property and copyright of their owners. Sihina Genena Oba guitar chords are provided for educational purposes and personal use only.